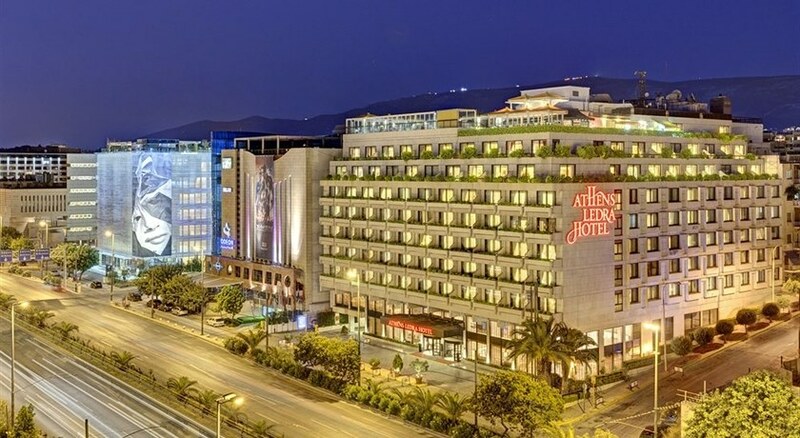 Athens Ledra Marriott boasts a rooftop pool and bar with stunning views over the Acropolis. All historic sites can be accessed by using the shuttle service provided by the Marriott. 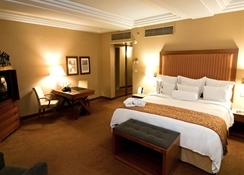 The elegant and spacious rooms have modern amenities and luxurious bedding. They are equipped with a mini bar, safety box and air conditioning. 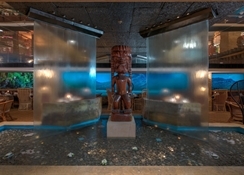 Zephyros Restaurant offers Mediterranean or Greek cuisine, while Kona Kai serves Polynesian cuisine and fresh sushi. The lounge bar is the perfect spot for a drink. The gym can be accessed 24 hours a day. There is a full business service available, along with function rooms for various events, from business meetings to family weddings. 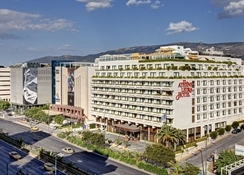 A car rental service is also available for you to easily explore the surrounding areas of Athens. Free Wi-Fi is available in the lobby area, at the lounge bar and at Zephyros Restaurant. Renovated in 2004, this hotel comprises a total of 314 rooms of which 18 are suites spread over 8 floors. The air-conditioned building offers guests a lobby, a hairdressing salon, public Internet access as well as the award-winning Kona Kai restaurant that offers Polynesian cuisine and the Zephyros restaurant serving Mediterranean dishes. During the months from April to October, the rooftop terrace 'Panorama' pool bar with spectacular views over Athens and the Acropolis is open. 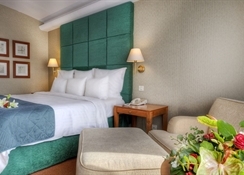 Room and laundry services are available, as is a 1,700 mï¿½ ballroom, which is suitable for a variety of events. Guests arriving by car may make use of the car park or garage.